What you can confirm with our sales? 1. You can choose win 10 Pro FPP key. 2. Our office keys can connect with Microsoft account and support online activation not tel activation. 3. Lastest DVD installation data and lastest COA sticker sync with Microsoft are on your choice list. We are an independent software manufacturer in China. Sell all kinds of suite Microsoft products. Keys on stickers are all verified. 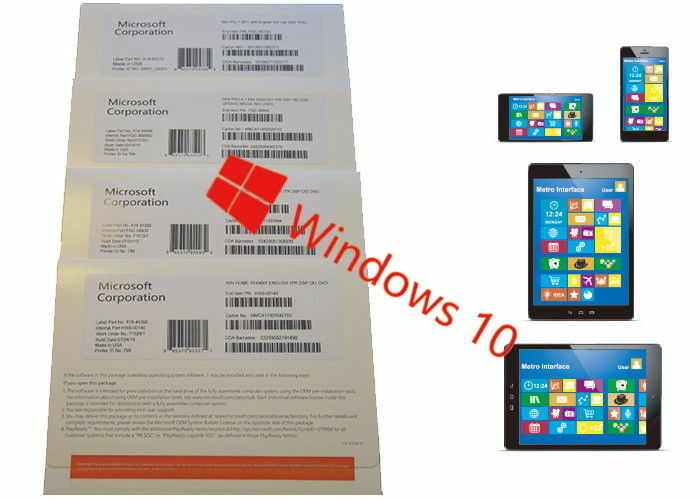 You can purchase Microsoft products at factory price if you choose partnered with us. And for our regular clients, we always give goods and additional support such as free of shippment fee if reach some quantity. Or better wholesale price will be given to our old buyers. Very few keys will have activation problem but if that happen. We will find the failure activation cause for you and replace new keys for you without any condition. When you can send goods? It depends on the shippment company and destination country. For goods already in stock, we support fast delivery within 24 hours. For goods are not, we will make them ready within 3-7 days after receiving payment. So for big number order, suggest buyer pay through T/T. Small order, finish transfer by Moneygram. If you want to get more information, please give us an inquiry on this website. It would be better for you to include your skype, whatsapp, email and mobilephone number, thanks.